Tir Bluen was started in 2013 by Justin Trammell. Justin was born and raised in the Panhandle spending most of his life in and around Canyon and Amarillo.He grew up on the family farm spending his childhood catching insects and reptiles, watching birds, and tending to cattle. He graduated from Canyon High School after which he attended West Texas A&M University where he got his degree in wildlife biology. While getting his degree Justin became fascinated with the wildlife agriculture conflict and went on to devote two years in graduate school exploring employment possibilities concerning that issue. He quickly discovered that the best way to pursue his interests and provide education as well as a living for his future family would be to start Tir Bluen, his 3 acre farm in 2013. While beginning his endeavors he married his beautiful wife, Whitney. Since 2011 Justin has began to explore what it might look like to be a sustainable agriculture operation on the high plains. Tir Bluen seeks to utilize the principles of regenerative agriculture and ecofarming to adapt techniques such as no-till farming, cover crops, mob and rotational grazing, cross cropping, pasture cropping, drip irrigation, rainwater harvesting, and land race breeding to establish strong robust farms and ranches on the high plains that produce high quality, locally grown food and operate irrespective of most climate and economic shifts. 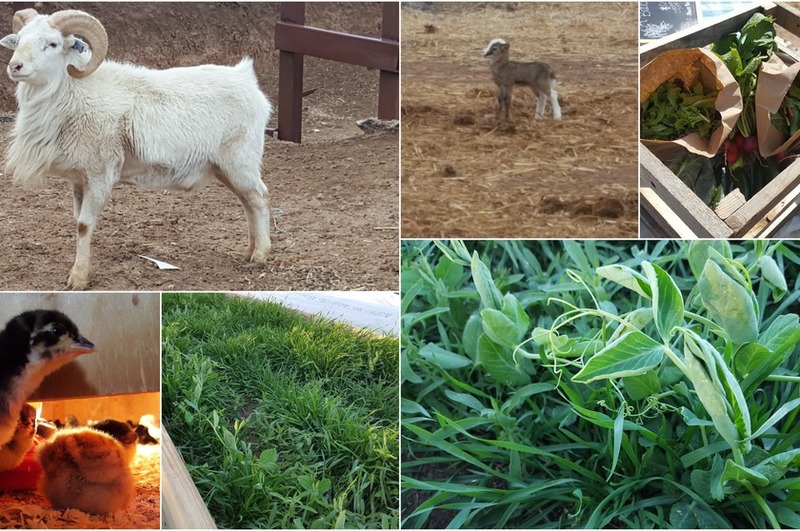 Products Overview: Pasture raised lamb, pasture raised chickens, grass-fed beef, grass-fed pork, pasture-raised turkeys-pasture-raised ducks and a large variety of vegetables including salad mixes, carrots, radishes, green beans, peas, kale, chard, and okra. Vegetables vary greatly depending on the season.